Are You Wearing Down Your Teeth Without Knowing? Home » Preventive Dentistry » Are You Wearing Down Your Teeth Without Even Knowing it? Posted by Krystle Fenton on December 16, 2016 in Preventive Dentistry | Comments Off on Are You Wearing Down Your Teeth Without Even Knowing it? 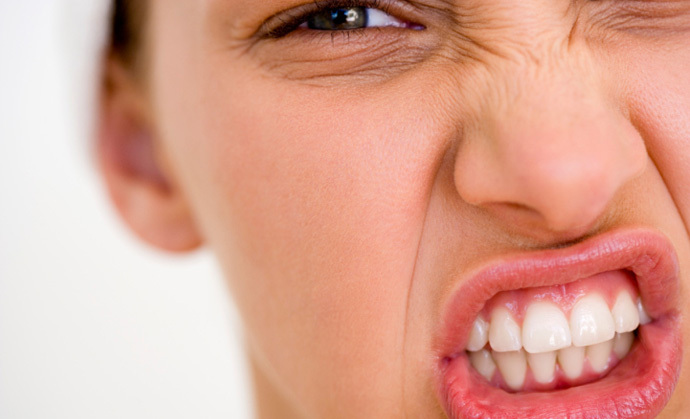 Bruxism, or teeth grinding, can be difficult to spot if you aren’t an expert. After all, unless your teeth are overly sensitive or you get headaches, there’s no way to really tell how worn your enamel is unless you’re a dentist. And to make things more difficult, proteethguard.com says that daytime bruxism is quite uncommon–90% of teeth grinders do it while they sleep! To top it off, Theresa Pablos, an editor at drbicuspid.com, recently posted an article that discusses how tooth wear can sometimes be difficult to spot–even for the experts! Which tooth wear evaluation tool works best? None, according to a new study. Researchers found that the four most common systems to categorize erosion all fall short of the requirements needed to be universally used in dental practice and research. A team of international researchers realized that no universally applicable evaluation tool exists. Therefore, they set out to determine whether one of the existing systems could be used universally or if dental researchers need to create a new tool. “It was this study’s first aim to perform an in-depth analysis of the characteristics of four commonly used tooth wear evaluation systems to determine if … [these systems show] characteristics of a hypothetical, broadly applicable evaluation system,” wrote the study authors, led by Peter Wetselaar, DDS, an assistant professor at the University of Amsterdam and Vrije Universiteit Amsterdam (BMC Oral Health, November 3, 2016) . . .
More people are aging with their natural dentition, and erosion is becoming an increasingly common problem seen in the dental office. However, while there are universal systems to diagnose and monitor caries and periodontal disease, a similar tool does not exist for tooth wear. Keep in mind that this study is basically testing the effectiveness of a universal tool. There are definitely tools that can spot your tooth wear, but they have to be used in combination with other tools. This study was looking for a tool that met all four criteria set by researchers, such as ease of use. Because bruxism can sometimes be difficult to spot for patients and–and sometimes for dentists who don’t use a wide array of tools–what can you do? One of the best ways to reduce tooth wear is to assess and change any risk factors. For example, you may know that certain foods–like soda, candies, or acidic fruits–can spur on tooth decay and exacerbate the wear from bruxism; but, did you know that alcohol consumption and smoking are risk factors as well? December 14, 2016 — When patients report smoking cigarettes or frequently drinking alcohol, you probably automatically think of their increased risk for caries and periodontal disease. However, you may want to also check for bruxism during your exam. A new study found those who smoke cigarettes and binge drink have an increased risk for sleep bruxism. The study authors hope dentists will use their findings to screen at-risk patients for the condition, which can lead to tooth wear and fractures, periodontal disease, and headaches. “Because results of our [systematic review] indicated that there is some available evidence of the possible association between [sleep bruxism] and alcohol, caffeine, and tobacco, dentists should be aware of this possibility during the first dental appointment,” wrote lead study author Eduardo Bertazzo-Silveira, DDS, and colleagues (Journal of the American Dental Association, November 2016, Vol. 147:11, pp. 859-866). If you reduce your risk factors, you’ll have a better chance at slowing down any wear and tear on your teeth. Despite the study on drbicuspid.com, you should still visit your dentist for dental exams and cleanings. He or she can see teeth wear on your x-rays when cusps have been flattened or when enamel or old fillings have cracked. Along with their screening, they can also fit you with a custom mouthguard. Since most people grind their teeth while sleeping, wearing the mouthguard is an easy way to solve your issue.